Caroline Ada, country manager for Visa, describes the ongoing disruption in the payments industry this way: "There were 900 payment startups last year. It is a fast paced and rapidly evolving category. “The majority of solutions are there to remove the friction from everyday life, which is buying stuff,” she says. 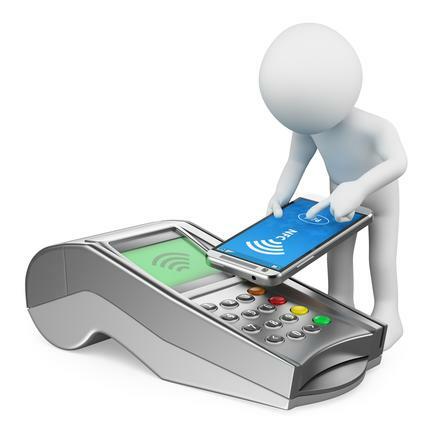 Nowadays, there are so many ways to make payments than just the usual card transaction, Ada says. “As an organisation, we have to accept we are not going to have all the answers,” she says. 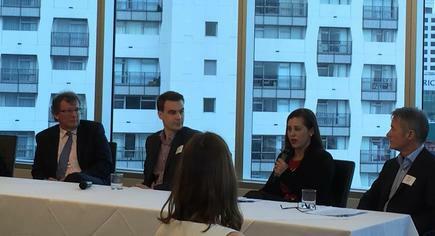 Her co-panellists were Rob Ellis, chief executive, Semble; David Bullock, director for products and technology, BNZ; and John Scott, managing director, Bartercard New Zealand. Ada says some of the things Visa is working on are around data APIs. An Uber user, for instance, can see where the car is and how far it is from his or her house. Ada says consumers are hunting out new technologies that remove friction from their experiences, and Uber is an example of this. “You don’t have to present your card, you get an emailed receipt, you know who your driver is. That is a fantastic solution developed by a startup. It removes friction from using a taxi. Our role is to create an environment or ecosystem for any party to innovate with us. This will lead Visa to launch market leading solutions whether for risk management, anti-fraud or loyalty solutions for their cards, she says. Ada says that is the future, and this is exemplified by Semble. It is “co-opetition or collaboration”, she states. “I don’t think as organisations we can continue to operate behind a 40 foot wall. Related: How New Zealand Enterprises can ensure they are the disruptors – and not the disrupted - in the fast-paced digital environment. “The key word is relevance,” says another panellist, David Bullock of Bank of New Zealand. At BNZ, Bullock is driving this thinking around customer utility and making it frictionless for the customer. Semble shows “we need to create ecosystems and care about what the customer wants and the benefits the customer can achieve rather than trying to hold on to customers ourselves and saying, we will do it ourselves", he says. Rather than companies signing up for the technology bank by bank, they will deal with an ecosystem, he states. He stresses the need to be vigilant on technology trends. Can you imagine the mobile phone having the same power as supercomputing today? What are the possibilities that can create? He says BNZ has teams thinking of these things “to ensure we remain relevant”. 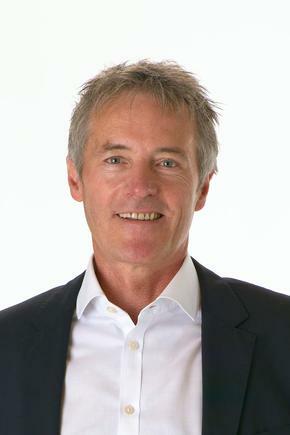 “Relevance is absolutely critical for any business to think about,” says another panellist, Rob Ellis of Semble. But given the number of choices to customers that are available, there comes a point where you have to back up one or two horses, he says. The decision “should be informed by your customers’ experience”. He says while Semble began with payments, that is just a starting point. “Our vision for the consumer is to replace everything out of your physical wallet,” he says. “Smartphones are increasingly becoming central to our daily life,” he says. Relevance is absolutely critical for any business to think about. Another panellist, John Scott of Bartercard, says companies face a challenge in deciding which areas to invest in. “Where do you invest? What technology device will you utilise? What are common standards around it? “How do you know it is going to be there in three to five years? “For all of us it is a case of understanding and making clear investment decisions." The Privacy Act is a key thing to consider when we deal with technology, he adds. “Technology is changing everyday, how do you think legislation can keep up with that?"